Ucom, the platinum sponsor of the 13th DigiTec Expo, has demonstrated and made available to the mass market all the innovative offers, the projects of which were displayed during the last year’s technology expo. Among them there are U!Pay virtual wallet, MediaRoom mobile television, U!Cloud solutions, and etc. This year Ucom launched its revolutionary “Universal Plus” offer, giving its customers an exclusive opportunity to combine 2 numbers, Armenian and Russian, in 1 SIM card, the Armenian number for use in Armenia and the Russian one in Russia. According to the Director General of Ucom, the geography of such offers will be expanded, thus making Ucom truly a pan-Armenian operator. 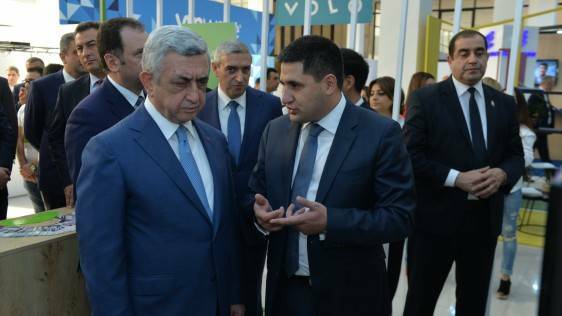 “With the aim to extend and upgrade its mobile network coverage, Ucom has deployed new mobile stations not only in Yerevan, but also in the regions throughout 2016-2017. Today we can state with satisfaction and pride that Ucom 4G+ network is not only the largest network in Armenia, but also the fastest. Learning about these results from a reputable international company is both important and obligatory to our entire team”, - noted Hayk Yesayan, Director General at Ucom.